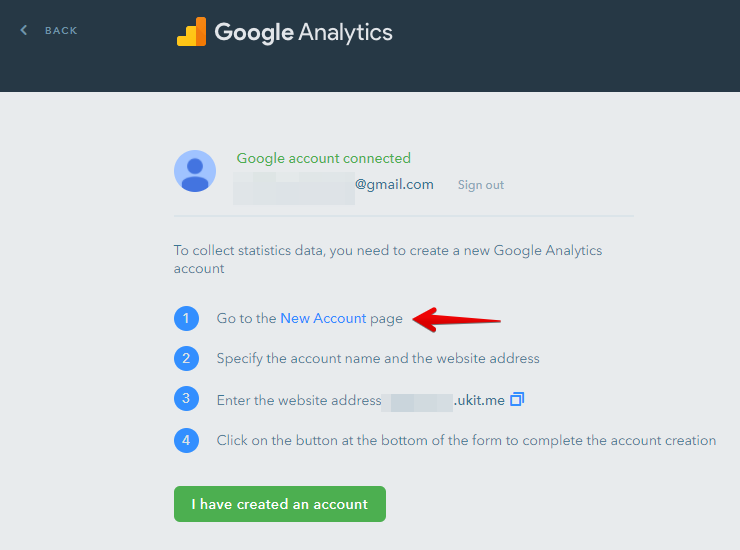 Go to the Dashboard > Statistics > and click Connect under Google Analytics. 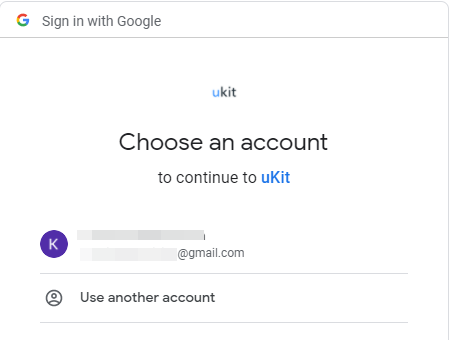 Select a Google profile (it will be available if you are logged in to your Gmail account). 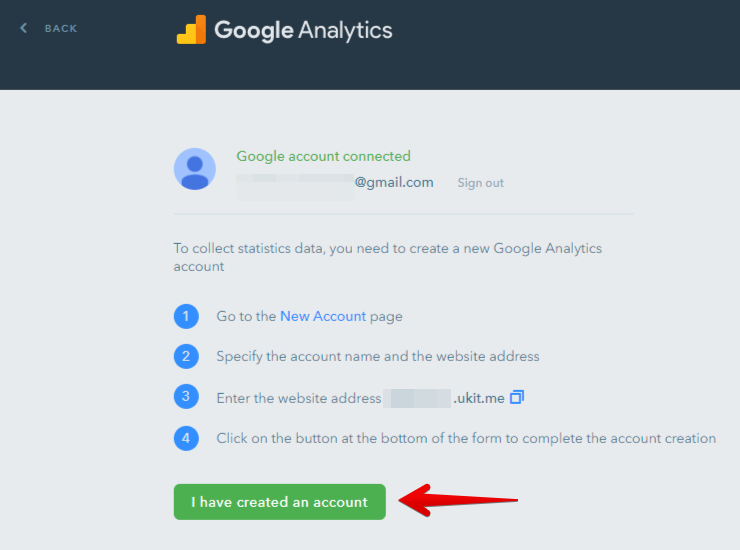 Create an account with Google Analytics. 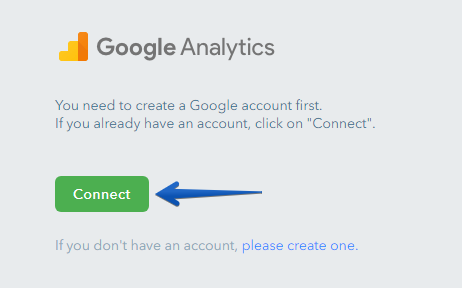 Make notice of the protocol your website is using. 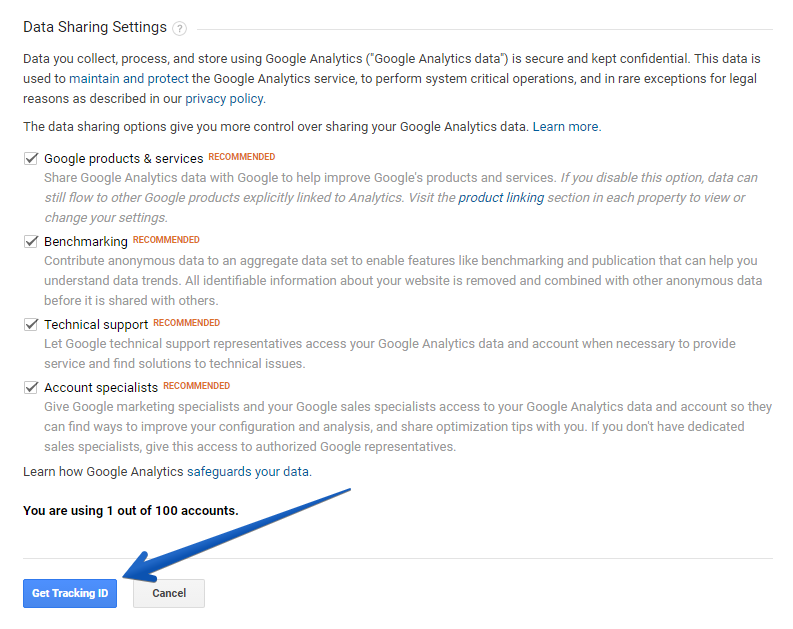 We recommend to use HTTPS as it's more secure and gets higher ranking by search engines. 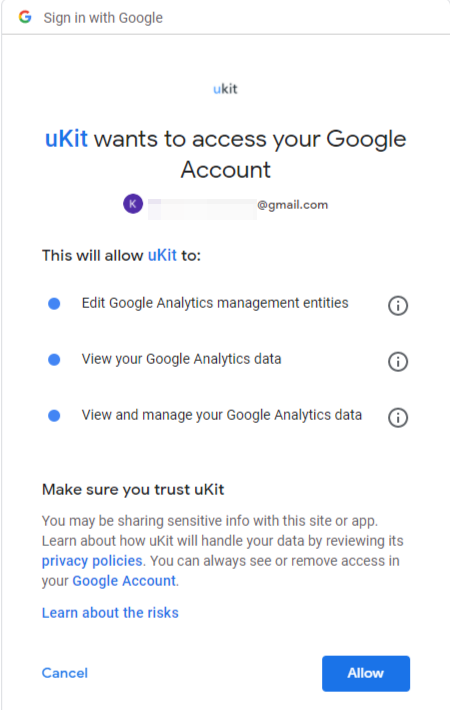 On uKit, you can enable HTTPS for your website free of charge.